2. Why am I using APA instead of MLA in an English class? 3. What is the connection between in-text citations and the reference page? 4. I was advised by my instructor to use direct quotations sparingly. Why? 5. What goes into a properly-formatted APA paper? 6. How do I incorporate sources into my paper? 7. 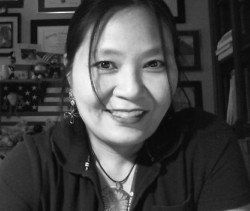 How do I know what ideas need to be cited? 8. What is plagiarism and how can I avoid it? 9. What is self-plagiarism and how can I avoid it? 10. Should I use automated citation programs? 11. APA has so many rules and details. Am I expected to remember them all? 12. Where can I go for additional help with APA? 1. 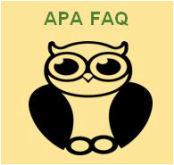 What is APA? APA is one of several preferred styles for source citation. It was originally developed by the American Psychological Association as a way to keep research writing consistent throughout the field. Many fields, especially those in the social sciences, have since adopted APA as the standard style for writing and research. Some schools even go as far as to use APA throughout all courses, no matter the field. 2. Why am I using APA instead of MLA in an English class? In most high schools and colleges, MLA is used in English classes; but this is not a hard-and-fast rule. Some schools opt to use one citation style across all courses and majors. Students are expected to use the system set forth by their instructors. 3. What is the connection between in-text citations and the reference list? An in-text citation tells readers that an outside source has been used, and the reference list tells readers where complete information about the source can be found. Understanding the connection between in-text citations and the reference list is key to using APA. Read "APA’s Two-Pronged Citation System" to strengthen your understanding. 4. I was advised by my instructor to use quotations sparingly. Why? The ability to effectively put another person's ideas into your own words (referred to as paraphrasing or summarizing) is an important skill to have, especially at the college level. Instructors want to see that students are capable of doing this. Putting ideas into your own words also shows that you fully understand what you are citing. Different instructors set different guidelines about using quotations. Contact your instructor if you have any questions. In a case where quoting is necessary to best capture an idea, remember to quote correctly. See Formats for Quotations, Paraphrase, and Summary for different ways to incorporate a quotation. 5. What goes into a properly-formatted APA paper? Go to APA Paper Format for general information on the parts that comprise a properly-formatted APA paper. Your instructor may have specific requirements. Always check with your instructor. (1) By paraphrasing: Do this by putting an idea (you found through research) into your own words. (2) By summarizing: Do this by reading and breaking down a complete text into a few sentences. (3) By quoting: Do this by borrowing exact words from a source. Always use quotation marks around quotations. Use this method sparingly. See Formats for Quotations, Paraphrase, and Summary for more information. (1) Original ideas (your own thinking): These do not need to be cited. (2) Common ideas, e.g., Disney World is located in Florida, or exercise is good for you: These do not need to be cited. (3) Researched ideas: These are ideas from outside sources - ideas you found. These need to be cited. 8. What is plagiarism and how can I avoid it? Simply put, plagiarism is the act of presenting another person's work as one's own - it is failure to give credit where credit is due. In general, if you are not sure whether an idea needs to be cited, cite it. It’s better to be safe than to be sorry. Contact your instructor if you need assurances. Plagiarism is a complicated topic. Please visit Plagiarism.org for the most comprehensive information on the different types of plagiarism and ways to avoid them. 9. What is self-plagiarism and how can I avoid it? Self-plagiarism occurs when a person presents his or her own previously-submitted work as new and original work. All work you submit, whether you are repeating a course or taking it for the first time, must be new and original. The easiest way to avoid self-plagiarism is to approach every assignment, new or repeated, with a fresh outlook. Your instructor can help you with this. 10. Should I use automated citation programs? You are welcome to use local software (e.g., APA feature in MS Word) or a Web application (e.g., Citation Machine) to help you with APA work. However, be mindful that any tool you use is only as good as the information you feed it. You are ultimately responsible for making sure that your in-text citations, reference list, and all other style requirements are consistent with APA guidelines. There are very few websites or software that can format APA (or any other citation style) correctly. It's like spell check and grammar check software: They can only do so much. You still need the requisite knowledge. Bottom line: Be careful with tools that claim to format citations according to standards. Rely on your own knowledge; refer to the resources available to you. Ask your instructor if you need help. 11. APA has so many rules and details. Am I expected to remember them all? APA is reference - you refer to it when you need it. While there are certain guiding principles you will want to remember, you are not expected to commit every little detail to memory. You are, however, expected to know where to find the APA resources you need to get the job done. 12. Where can I go for additional help with APA? For additional help with APA, contact your instructor, your school's librarian, or your school's writing center. Also consider getting the latest edition of the Publication Manual of the American Psychological Association.